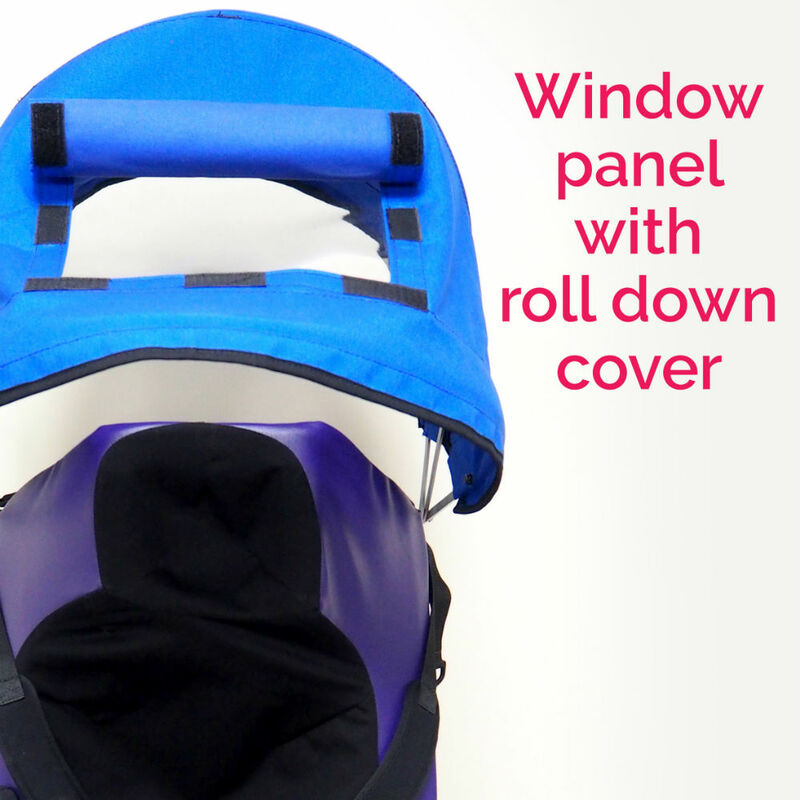 Get full coverage from the rain or protect yourself, or your child, from the sun with an Executive Wheelchair Canopy. 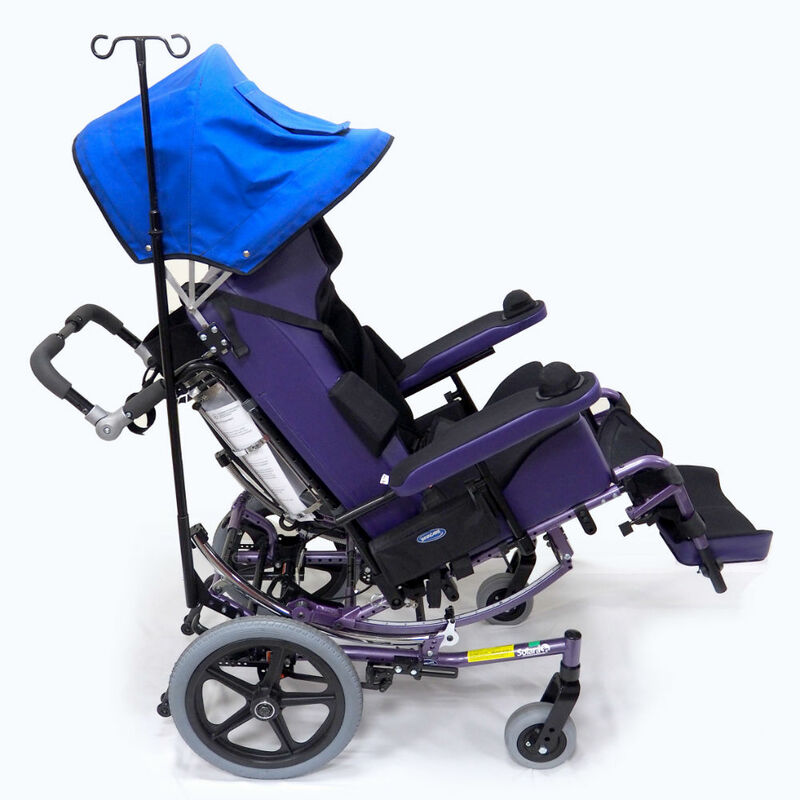 We have designed our canopy to provide maximum protection with side panels whilst ensuring it remains easy to attach and remove from your wheelchair. This shade, sun or rain cover is heavy duty but we have kept it lightweight so it is easy to use. Locking mechanisms will keep it in place when extended or folded. The Executive version of the canopy provides full coverage at the front with a fitted clear ‘window’ panel to keep your child engaged. A roll down blind has been fitted so the canopy can be enclosed if desired. Blue matt Cordura waterproof material. Light aluminium frame. Weight 700 grams. Shade requires use of tools to fit to wheelchair. Standard fittings are included. Make and Model of the wheelchair or Scooter to be provided to Novitatech. Custom shades and fittings at additional cost and quoted separately.